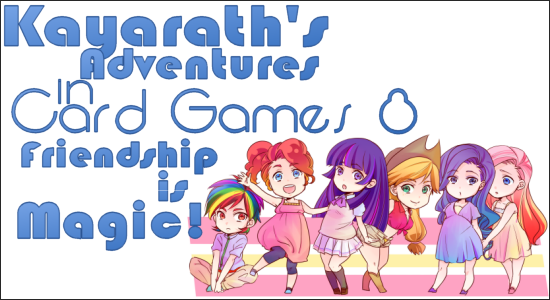 91.8 The Fan » Blog Archive » Kayarath’s Adventures in Card Games 8 – Friendship Is Magic! It has been said you shouldn’t look a gift horse in the mouth. Or a gift pony in this case. 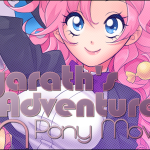 While The Fan’s primary focus is anime, we do dip our hooves into the Brony pool from time to time. When we got invited to Bronycon again, I knew I had to be there. As The Fan’s resident Brony, I couldn’t miss the chance to attend the world’s biggest My Little Pony convention catering to adult men. The story thus far is that some seven years ago, Lauren Faust, who helped developed shows like The Powerpuff Girls and Foster’s Home for Imaginary Friends, was given the task of reviving the dilapidated My Little Pony cartoon. She created My Little Pony: Friendship is Magic and succeeded on all counts. So much so, it developed a strong periphery demographic of adult males now known as Bronies. Like any large modern fandom, they have conventions on occasion, with Bronycon being the biggest. Two years ago I went to support The Fan’s matriarch, Kanashimi, in fulfilling guest obligations at Bronycon. In doing so, I watched the show and enjoyed the it and the convention greatly. 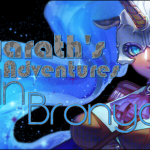 You can read about the whole affair here if you desire further details about Bronycon 2015. 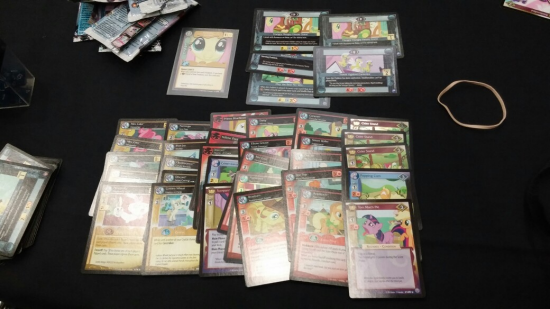 For 2016’s Bronycon, I wanted to focus on The My Little Pony Collectable Card Game (MLP CCG). Bronycon has guests, panels, music, shopping, and everything else but I can do all that at any convention. What I can’t do at other conventions is play with flippin’ pony cards. Bronycon is my best chance for that. What I find weird is that the card game isn’t run by Hasbro but by Enterplay. Enterplay is a merchandise company that does trading cards for various properties. Hasbro is a large corporation that makes money selling games and toys. Yet here are games and toys that Hasbro is simply not interested in selling. If they wanted to create gaming products for My Little Pony they could have their subsidiary Wizards of the Coast (WOTC) do it. 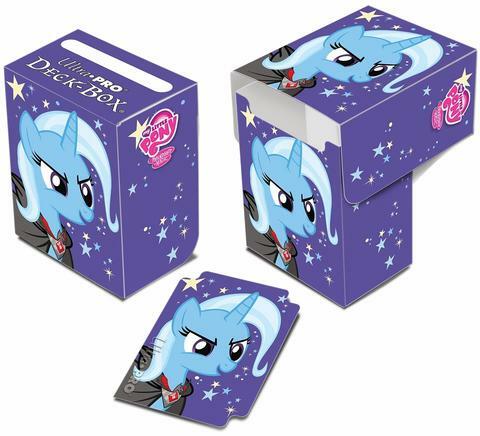 WOTC handles Magic: The Gathering so a pony card game would be right up their alley. It probably would make more sense if I understood Hasbro’s corporate culture. What I do know is that trading card games are like MMORPGs in that it’s too late to strike it rich making one. However, a snack for Goku can be a meal to Chi-Chi. Enterplay is more then willing to dive into that niche. This explanation could also apply to RiverHorse/Ninja Division and their production of My Little Pony: Tails of Equestria. The Crystal Arena is where you go in order to play a pony’s card game. There are continuous events running all con long. Just pick an event and walk in. I went to a Friday afternoon “sealed” tournament. I forget the exact name but the general idea is that you buy a bunch of packs, make a deck with it, and play against other ponies who done the same for prizes and glory. Despite that fact that there were over seven thousand bronies there, only five ponies signed up for the tournament. I consider that a disappointing level of turnout. I can only hope that was the exception and not the rule. Either way, I paid my entry fee, got my packs, and began to construct my deck. At this point I should mention my lack of experience regarding the game. Before then, I brought a few starter packs, read the rulebook, and played a demo game. I’m no King of (pony) Games here. Nor would I say this is my first time slinging cardboard. I’ve played the OGCCG (aka Magic: The Gathering) for about half my life so I know my way around these things. The basic process for any sealed event is to sort your cards by type and pick the types you’ll play with. In the MLP CCG, the game divides cards by each Element of Harmony. The element I decided to embrace for my deck was Kindness. I got a good assortment of critters so I figured they would work well with Fluttershy. The game is largely (but not completely) built on the assumption that you play with two elements in the same deck. This means I’ll need to choose another element. Picking a second element was tougher since there wasn’t any clear synergies I could use. I threw in some honestly cards in there more or less on guessimation. The only way to really test the deck was to play it. which do look super cool but they can fall off if you’re not careful with them. So I meet my opponent and started playing. The game itself is quite navigable. If you’re generally competent in card games and read the rulebook for a few minutes, you should do fine. If you’re not, there are demo games and friendly card Bronies can lend you a hoof. I largely got the gist of it, but some details did elude me. For example, the bonus points on the problems can only be scored once. This contradicts the rulebook but I was using rulebooks published at the beginning of the game’s life, which don’t have the updated rules. I was told this was done to slow the game down as players could too quickly score the points needed to win. While I was surprised at the need for such a nerf, I also understand the need. The MLP CCG doesn’t seem to focus on control elements. The game is less about stopping your opponents and more about doing your own thing. This creates an environment where super fast combo decks can thrive. 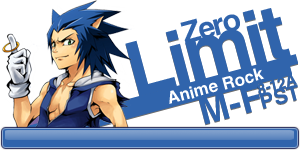 Another important aspect of the game is the Mane Character. They function like the commanders in Magic: The Gathering. They are your avatar or central character that lead the way for the rest of your deck. All of the Mane Characters can be flipped to become more powerful by fulfilling certain conditions. Obviously, you’ll want to pick a Mane Character that works well with the rest of your deck. That synergy is what allowed me to win my first round playing the MLP CCG. As I predicted, Fluttershy plus critters equaled winning. Though I will admit my victory came less from my own skills and more from my opponents errors. He choose Rainbow Dash as his Mane Character but didn’t have enough accessory cards to synergize with her. Sadly, he later discovered that he had more then enough critters cards to make a good Fluttershy deck. My second round did not turn out so well. Losing is one thing, but getting slowed grinded down is something else. While the average pony card game keeps a good pace, I found myself crippled while my opponent slowly but surely crawled his way to fifteen points. The issue was that my opponent has a problem card that required you to move a friend away before you could confront it. My deck had no way to deal with that efficiently. For context, moving a pony normally causes two action points and you only get two to four action points a turn. All I could do was wait while I slowly lost. It was quite an usual match. How improbable would it be to tie five flips in a row(which is more or less a RNG) not once; but twice! It must be astronomical. While unpleasant, that match didn’t sour me on the game. I was ready for whatever the third round would be; which was a bye. Since there were only five players, that mean there’s an odd man out every round and it was my turn to be out that time. While it’s a bit of a downer to not play the actual game, not getting matched to an opponent means you automatically win, and I’ll take any victory I can get. So I collected my prize packs and rushed back to Kana, who was experiencing a lot of traffic at the 91.8 The Fan table we had at Bronycon. I didn’t have the opportunity to participate in another card game. Playing the support role at a convention table is a simple but time expensive duty. Bringing anime to the Bronies is not a one person job. It was not until Saturday night did I find myself available to attend another event. The obvious choice was to attend the Cardaplooza event hosted by Enterplay itself. As far as I can tell, it was basically the Enterplay Industry panel, and I had a few bones to pick with those people. As I walked through the door into the panel room, I was given a free trading card pack. In fact, every pony who attended the panel got a free pack. This is a blatant attempt to preemptively win the crowd’s favor via bribery and I have to totally embrace it. Who can say no to free stuff? 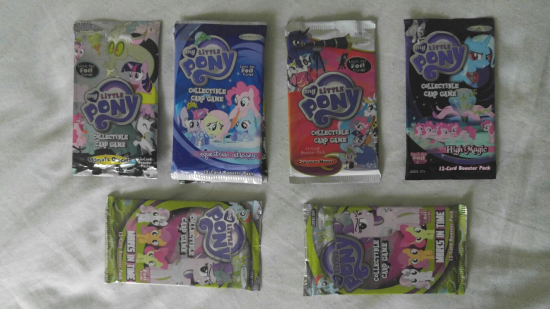 After every pony sat down, we were instructed to open our packs and look at our cards. We all then played a simple game where every round some ponies got eliminated based upon having or not having a certain card in their packs, and the last pony standing got a prize. I have to call that a bit of clever marketing. Getting every pony to carefully observe your products has to count as a marketing win. but I wish I learned that before I lost three pins. As industry panels go, I generally liked Cardaplooza. I’ve been to a good deal of anime industry panels and I’ve grown sick of seeing promos for anime after anime after anime after anime. It wears you down eventually. Enterplay had the good sense to not spam us with product promotion. They added variety with games and stuff in between product announcements. They would grab some ponies from the audience and have them compete in a game show type thing for fabulous prizes like the special foil game mat of Rara produced by Enterplay. I wonder where I could buy me one of those? When all the prizes were given out, all the products shown, and ponies migrating to the next event, I knew it was time to make my move. I walked up to the nearest Enterplay pony and said, “I got words for you!” and he was like, “Cool, what are they?” and I responded, “I demand an apology for being forced to go to Wal Mart to buy your products!” Wal Mart was the only place that had the exclusive Twilight Sparkle Starswirl costume pin, but the wait was so awful because you know Wal Mart is too cheap to have more then one cashier at any time. To his credit, he understood my plight and apologized for the situation. He also told me that I could go to other retailers to purchase their products. I was quite satisfied by the response. I guess all I really wanted was some understanding. I did wish I asked about co-op. Now that I think about it, I do find myself irritated by the lack of it. Most card games don’t do co-op, but it feels sorely missing here. My Little Pony is all about working together instead of competing with each other, so it’s a perfect fit. I want to team up with some Bronies and see if we can save card Equestia from card Nightmare Moon, card Discord, or card Starlight Glimmer. I bet a lot of Bronies would pay good bits to bring defeat to Starlight Glimmer. As far as card games go, My Little Pony doesn’t strike me as prime material, but Enterplay makes it work. 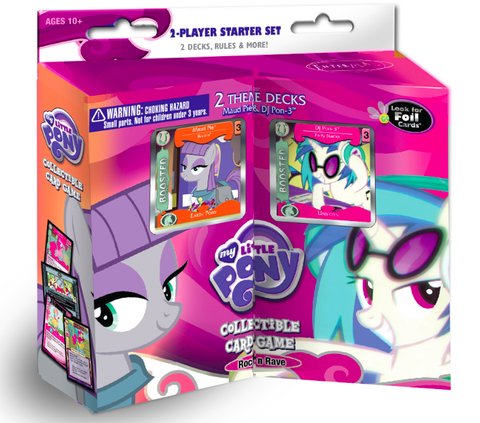 They actually made a card game that fits the feeling of My Little Pony: Friendship is Magic. While not as mechanically vast as Magic: The Gathering, the MLP CCG is approachable and has a few twists that adds a bit of uniqueness to it. As more sets come out, the usual card game issues appear. More new mechanics get thrown in, card synergies can grow too strong, and older sets start to get cycled out. The more things change, the more things stay the same; am I right?